M&S Technologies is a leader in computerized vision testing systems. With technology designed specifically to meet the needs of today’s busy ophthalmology and optometry clinics. The challenge of this project was to create an application that automates the process for a patient visiting a pediatric ophthalmologist’s office. From the time a patient enters a doctor’s office to the exam room and through the billing process, it was our goal to capture all patient data collected during a particular visit in an electronic medical record format. 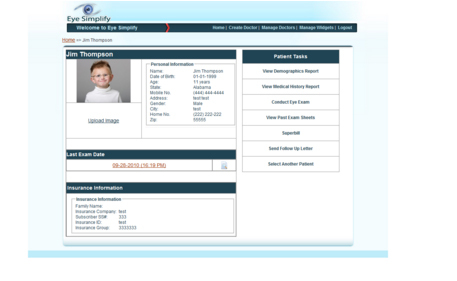 Plego developed a custom EMR Application for the Pediatric Ophthalmology practice. 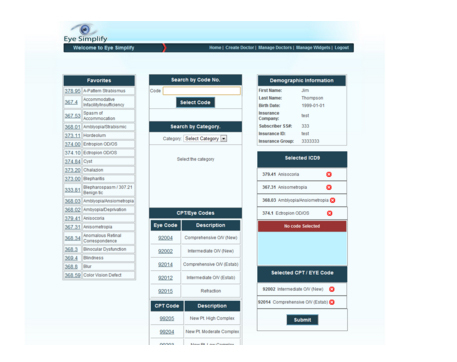 Through extensive collaboration with industry leading pediatric ophthalmologists, Plego was able to gather and organize patient information electronically, rather than collecting information the traditional paper way. 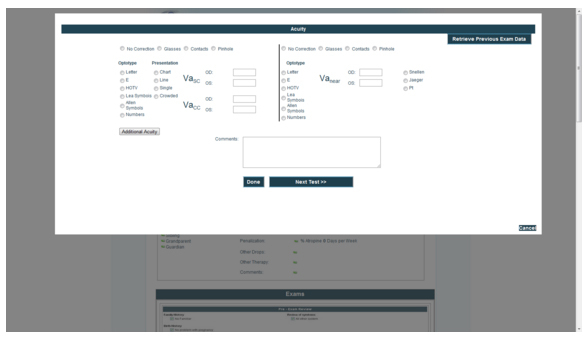 From the time the patient would walk into the office, to the exam room, and finally to the post exam billing and notation phase, this application completely automated the Ophthalmology patient visit process. The application included a demographics questionnaire, this allowed the practice to collect information regarding the children and their parents. This Information includes name, address, contact info, etc. The form also collects Insurance information which includes a disclaimer. A medical history questionnaire was provided as well, this collected information regarding the patient’s medical symptoms, family medical history, allergies and any other special medical conditions. Create Superbill – Billing form that was integrated with the eye exam that automatically created billing statements complete with ICD9 and CPT codes. This is the Superbill Screen that integrates with the eye exam. This is one of the many types of eye exams provided by the eye examination module.